If you are someone who is addicted to books or audio books then the good news for you is that you don’t always have to buy such books from stores and listen to them on your music player. You can also download them for free of cost and listen to them on your PC, phone and even your tablet. Thanks to the technology of torrents, you can get free access to millions of audio books from around the world on your desired device. For this, you will need to download a torrent client and then go to a torrent site to download the torrent file. If you wish to know more information about the same, you can go through the following information. 1. Kickass Torrents - There is no doubt about the fact that audio book lovers will be able to access many audio book torrents using this amazing site. It not only brings you not only a large collection but also a good collection with high quality torrents for your smooth experience. 2. Torrentz - This is yet another brilliant torrent site where you can find plenty of audio books to keep you entertained for the longest time. 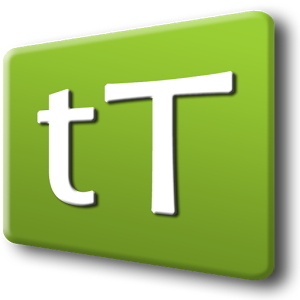 This site has a wide collection and is a safe and secure platform to download torrent files. 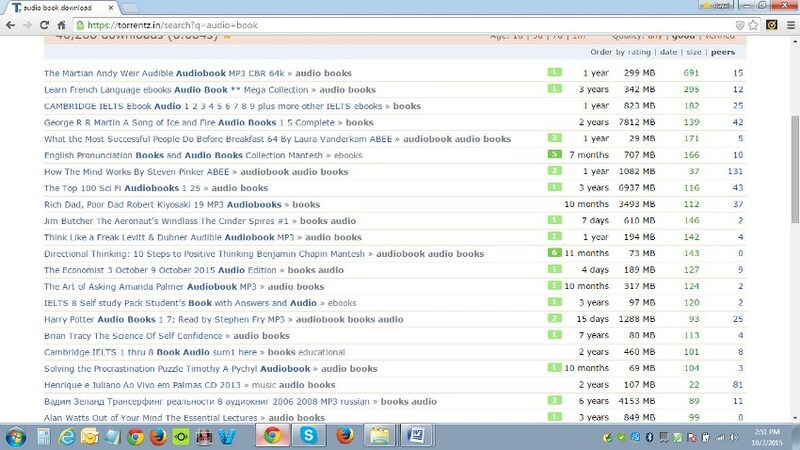 It has a search engine box where you can search your desired audio books. 3. Extra Torrent - If you are unable to find your desired audio books anywhere else, you will definitely find it on this torrent site. It brings you an easy to use platform and a clean interface that makes it easy for you to search anything. 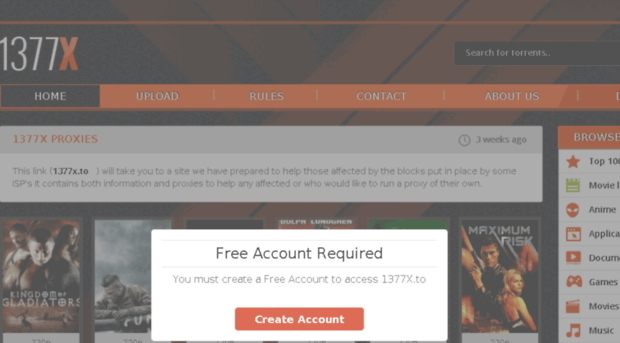 It is a free site. 4. The Pirate Bay - This is one of the oldest and most popular torrent websites for not just movies and music but also for audio books and eBooks. It gives you free access to millions of audio books and is a delight for all book lovers. 5. Isohunt.to - This platform was started when the original Isohunt got shut down. Since then, it has gained immense popularity all across the world as far as providing quality audio book torrents and other torrent files is concerned. This is a free platform too. 6. RARBG - Started by a Bulgarian tracker, this site is pretty amazing when it comes to downloading audio book torrents. It is free and comes with a very smooth interface for the best user experience. 7. 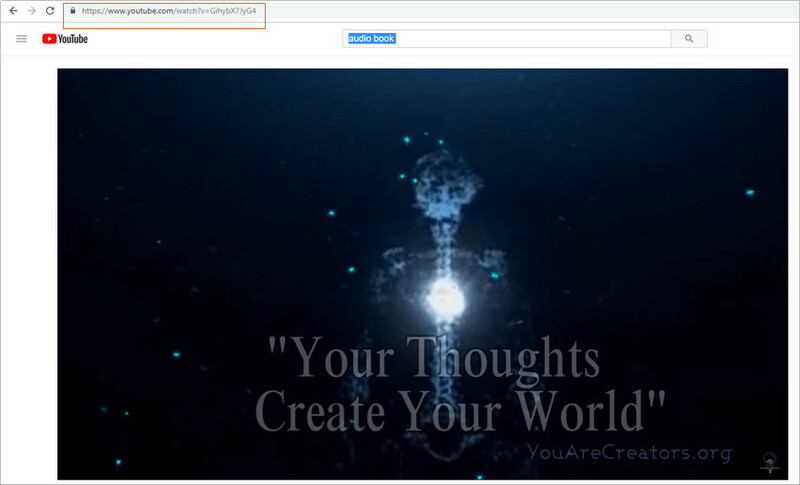 1337X - This torrent site is basically a community driven site which provides some quality audio book collection of torrents which are free of cost. 8. 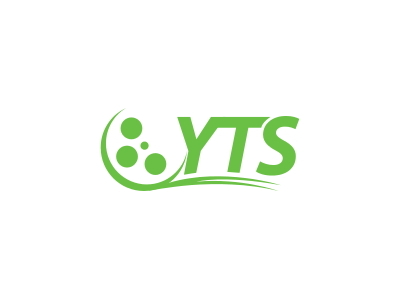 YTS - This torrent website is one of the most recognized piracy brands on the internet and is becoming more popular every day. It is a great platform to search for and download desired audio books. 9. Bit Snoop - Founded in 2008, this torrent website gives you access to millions of audio books which are easy to search and easy to download. 10. Sumo Torrent - This is yet another amazing torrent downloading website which provides a good collection of audio book torrents around the world and it is free of cost as well. 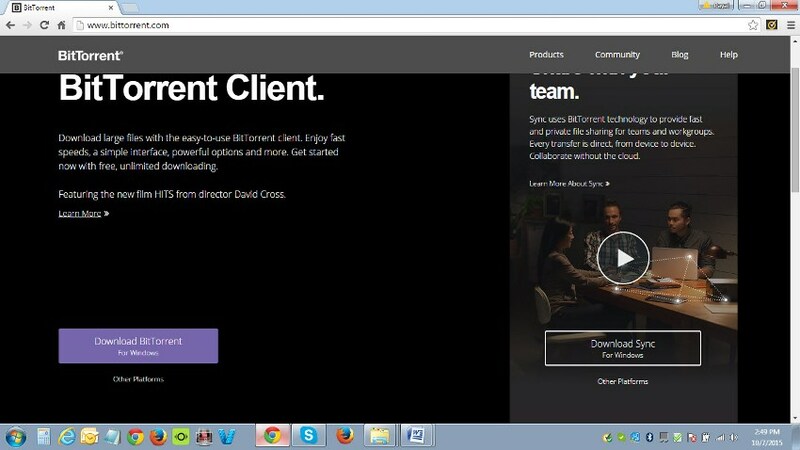 Step 1 Download Bittorrent by entering its name in the search box and going to its official website. 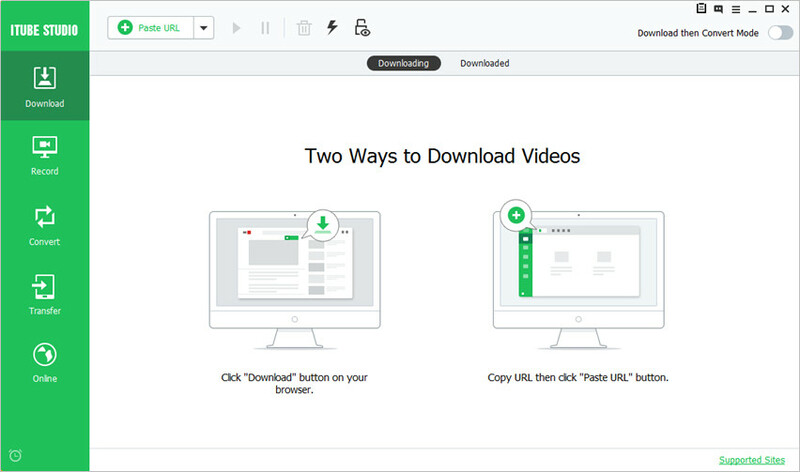 Step 2 After going to official website of Bittorrent or any other torrent client, you can go to the download link which is suitable for your device or operating system. Step 3 After you find the desired download link, click it and download, install the torrent client on your system. Step 4 Now, go to one of the audio book torrent sites mentioned above and enter the name of the audio book you wish to download on your system. Step 5 Click Download Torrent when the list of options appear. This will download a torrent file on your system. Step 6 Click the torrent file and this will begin the torrent downloading through Bittorrent. Step 7 Once the download ends, you can open it on your system to hear it. If you're a homebody and a schlemiel, and don't want to download torrents firstly and then download audio books, you can choose to download the audio books directly with a third-party tool - iTube HD Video Downloader. It is very easy to use and you can control the technology in minutes. Step 2 Choose the DOWNLOAD option at the top middle of GET MUSIC interface. Step 3 Go to the audiobook sharing site, such as YouTube. 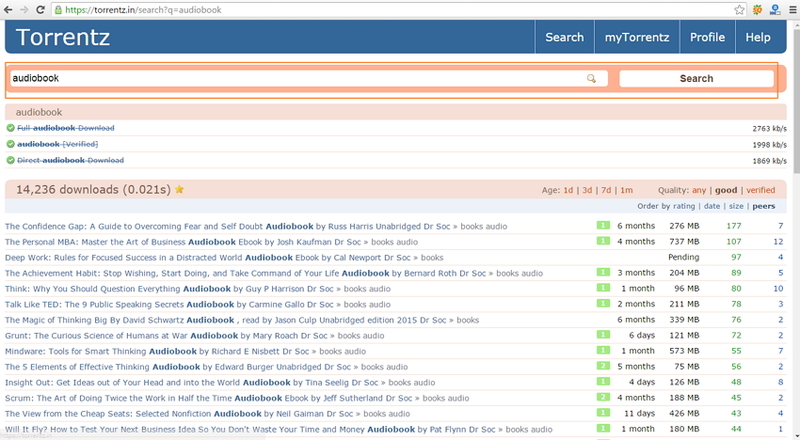 Find the audiobook you need, and copy the URL in the address bar. Step 4 Paste the URL into iTube HD Video Downloader, and choose MP3 as an output. Then click the Download button to start downloading audio book from the Internet.